In this study, the effects of plant hormones known as the classical quintet; auxine, cytokinin, giberellin, absisic acid, ethylene hormones as well as the ones discovered by recent studies, i.e. brassinosteroid, salicylic acid, strigolactone and jasmonic acid on plant physiology, their uses in agriculture, and effects on the environment due to misuse of these hormones were compiled and the literature on the phytohormones was updated. Reference1 Algül B.E., Tekintaş F.E. and Dalkılıç G. 2016. Bitki Büyüme Düzenleyicilerinin Kullanımı ve İçsel Hormonların Biyosentezini Arttırıcı Uygulamalar Adnan Menderes Üniv. Zir. Fak. Der. 13(2): 87 – 95. Reference2 Baktır İ. 2010. Bitki Büyüme Düzenleyicileri Özellikleri ve Kullanımları. Hasad Yay. Reference3 Belt K., Huang S., Thatcher L.F., Casarotto H., Singh K., Aken O. and Millar A.H. 2018. Salicylic acid-dependent plant stress signalling via mitochondrial succinate dehydrogenase. Plant Physiology. 176(1):1-30. Reference4 Brewer P.B., Dun E.A., Ferguson B.J., Rameau C. and Beveridge C.A. 2009. Strigolactone Acts Downstream of Auxin to Regulate Bud Outgrowth in Pea and Arabidopsis. Plant Physiology, 150: 482-493. Reference6 Chen Z., Zheng Z., Huang J., Lai Z. and Fan B. 2009. Biosynthesis of salicylic acid in plants. Plant Signaling & Behavior. 4(6):493-496. Reference8 Çelik İ., Tuluce Y. and Özok N. 2002. Effects of Indoleacetic Acid and Kinetin on Lipid Peroxidation Levels in Various Rat Tissues. Turk J. Biol. 26: 193-196. Reference9 Çetin V. 2002. Meyve ve Sebzelerde Kullanılan Bitki Gelişmeyi Düzenleyiciler. Gıda ve Yem Bil. Tek. Der. 12(2): 40-50. Reference10 Fan X., Matheis J.B. and Fellman J.K. 1998. A Role for Jasmonates in Climacteric Fruit Ripening. Planta. 204: 444-449. Reference11 Fan X., Matthesi J.P., Fellman J.K.C. and Patterson M.E. 1997. Changes in Jasmonic Acid Concentration During Early Development of Apple Fruit. Phy.. Plant. 101: 328-332. Reference12 Ferguson B.J. and Beveridge C.A. 2009. Roles for Auxin, Cytokinin, and Strigolactone in Regulating Shoot Branching. Plant Physiology. 149: 1929-1944. Reference14 Hayat S., Ali B. and Ahmad A. 2007. Salicylic Acid: Biosynthesis, Metabolism and Physiological Role in Plants. Springer, Netherland. Reference15 Hayward A., Stirnberg P., Beveridge C. and Leyser O. 2009. Interactions Between Auxin and Strigolactone in Shoot Branching Control. Plant Physiology. 151: 400–412. Reference17 Morsünbül T., Solmaz S.K.A., Üstün G.E. and Yonar T. 2010. Bitki Gelişim Düzenleyicilerin Çevresel Etkileri ve Çözüm Önerileri. Uludağ Ünv.Müh.Fak.Der.15(1): 22-32. Reference18 Olszewski N., Sun T. and Gubler F. 2002. Gibberellin Signaling: Biosynthesis, Catabolism and Responsepathways. Plant Cell. 14: 61–80. Reference19 Öktüren F. and Sönmez S. 2005. Bitki Besin Maddeleri ve Bazı Bitki Büyüme Düzenleyicileri (hormonlar) Arasındaki İlişkiler. Derim. Batı Akd. Tar. Arş.Ens. 22 (2): 20-30. Reference20 Özeker E. 2005. Salisilik Asit ve Bitkiler Üzerine Etkileri. Ege Ün. Zir. Fak.Der. 42(1): 213-223. Reference21 Rao R.S.S., Vardhini B.V., Sujatha E. and Anuradha. S. 2002. Brassinosteroids-A New Class of Phytohormones. Current Science. 82(10): 1239–1245. Reference23 Robischon M. 2015. Do cytokinins function as two-way signals between plants and animals? BioEssays. 37(4):356-363. Reference24 Romani R.J., Hess B.M. and Leslie C.A. 1989. Salicylic Acid İnhibition of Ethylene Production by Apple Disks Other Plant Tissues. J. Plant Growth Regul. 8: 63-69. Reference25 Romanujam M.P., Jaleel V.A. and Kumaravelu G. 1998. Effect of Salicylic Acid on Nodultion Nitrogenous Compounds and Related Enzymes of Vigna mungo. Biologia Pl. 41: 307-371. Reference26 Seçer M. 1989. 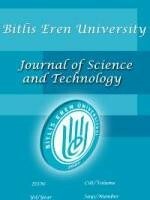 Doğal Büyüme Düzenleyicilerin (Bitkisel Hormonların) Bitkilerdeki Fizyolojik Etkileri ve Bu Alanda Yapılan Araştırmalar. Derim. 6(3): 109-124. Reference27 Tomlin C.D.S. 1997. The Pesticide Manual: A World Compendium. 11th Ed. The British Crop Protection Council. Reference28 Williams M.E. 2011. Introduction to Phytohormones. Teaching Tools in Plant Biology: Lecture Notes. The Plant Cell (online), doi/10. 1105/ tpc. 110.tt0310.